We’re excited to announce that TechChange president Nick Martin was selected as the runner-up for the 2014 Andrew E. Rice Award for Leadership and Innovation by a Young Professional in International Development. The winner of first place for the Rice Award for 2014 was Diana Jue of Essmart, a U.S. Corporation and India Private Limited company that “brings essential, life-improving products to all people, no matter who they are or where they’re from”. Diana’s company is doing great work to create better distribution and supply channels of existing consumer goods to hard-to-reach places in the developing world. 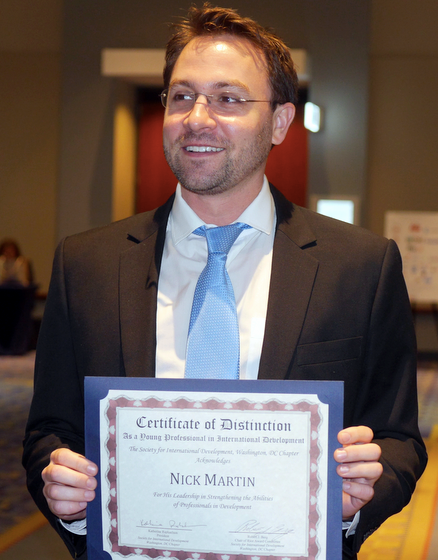 Nick received a certificate of distinction at the 2014 SID-Washington Annual Conference, “Delivering Results in a Changing World,” on May 20th, in Washington, DC. 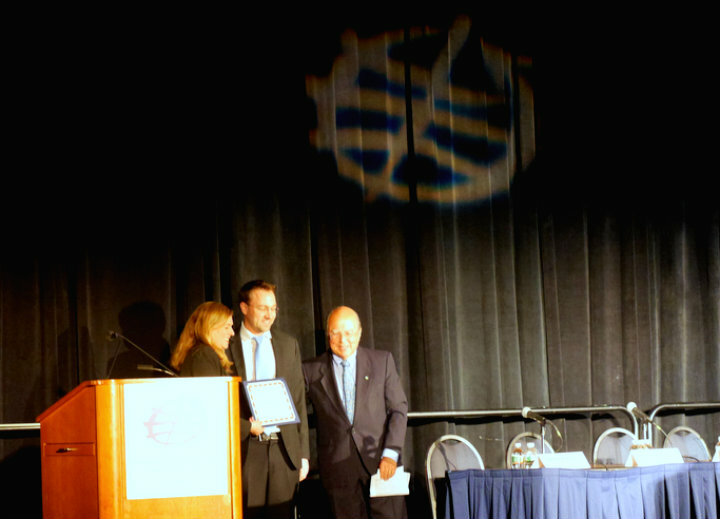 Thanks to the team at SID-Washington for organizing the award and event. Read more about the SID Rice Award here and consider applying next year.